This Easter marked the centenary of Ireland’s Easter Rising, a brief but bloody period in the Irish struggle for independence. It was celebrated in Dublin with a sense of decorum and avoidance of bombast. The celebrations follow a hard period in the economic life of the country when the ‘Celtic Tiger’, as it was called before the 2008 economic crash, ceased roaring. And as the Easter Rising which, hard and brutal as it was, gave way to an independent Ireland, an economic stirring in the city has brought life and vigour back to the city of Dublin. This can be seen most clearly in the old docklands of the city. In the boom of the 2000s a massive development of the derelict area began until everything ground to a halt in 2008. Property values were halved, office space emptied and redevelopment projects were shelved. Cranes stood idle and the tram system, the Luas, trundled off through the empty and half-built office and apartment blocks to nowhere. Fast forward to 2016: the cranes are moving once again and apartments are filling with employees of the huge internet companies that love Ireland because they pay less tax here than anywhere else in the EU. A private college is bringing young people into the docklands area, while coffee shops and convenience stores line the route of the Luas. At the very end of the tram route, the refreshingly airy gibson hotel (which shuns the use of a capital letter as if punctuation was terribly uncool) stands opposite a huge entertainment venue called 3Arena. The gibson hotel has brought a young and lively feel to steel and glass, from the confused -looking ersatz sheep in the reception area to the smart, brightly decorated and spacious bedrooms. Most rooms have balconies, either shared with their neighbours or private, while the hotel also offers guests a relaxation room with a sauna and footbath, perfect for those moments when your arrive before your room is ready. 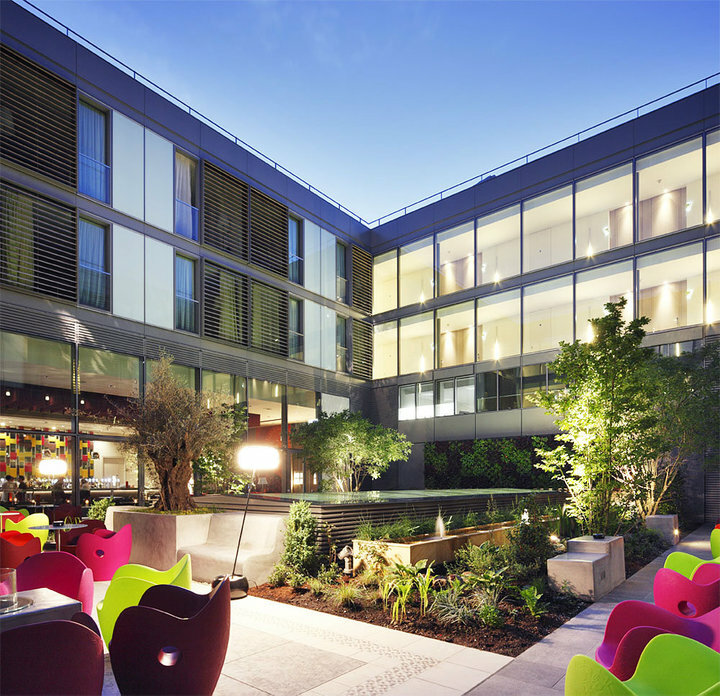 Two open-air baths sit out on its balcony waiting for the right outdoor temperature and the gibson hotel as a whole has a sense of space and light which distinguishes it from Dublin’s other hotels. There’s a musical theme to the place, starting with the bar, Hemidemisemiquaver (shortened affectionately to Hemi) and an internal garden, open to the sky, offers barbecue pits for parties.Nice touches are the bowls of apples outside the lifts, just asking to be taken into as you walk past, and the pots of flowers at reception with a little note suggesting you take one. Outside, the Luas tram waits ready to trundle you into town and back. In the shopping centre beside the hotel, a multi-screen cinema offers an alternative to whatever is on at the 3Arena next door. 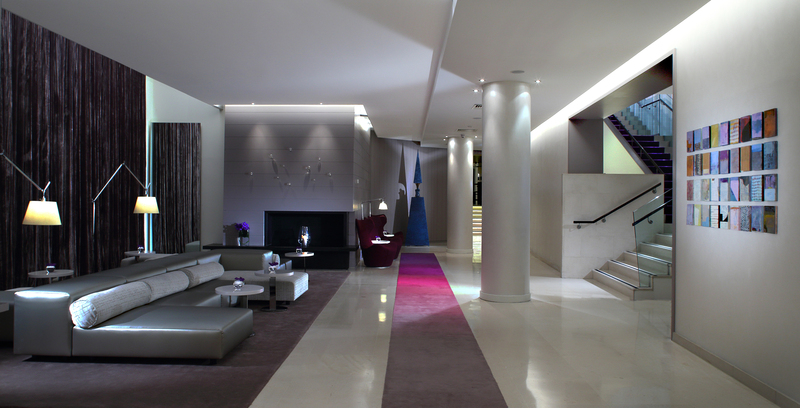 If your preference is to stay in the city centre, the Morrison Hotel offers a similarly funky style but on a smaller, boutiquey scale. Bankrupted after 2008, a Russian billionaire has now added it to her pocket money portfolio. Revamped rooms, arty decoration and friendly staff make it a fun place to hang out in and the riverfront location is pretty at night. Also looking out over the river is the Morrison Grill, its claim to fame a Josper grill which combines charcoal with electric oven, providing super-fast cooking. The eatery is a casual kind of place in the evening, with subdued background music and an interesting menu that includes venison with chilli and chocolate. 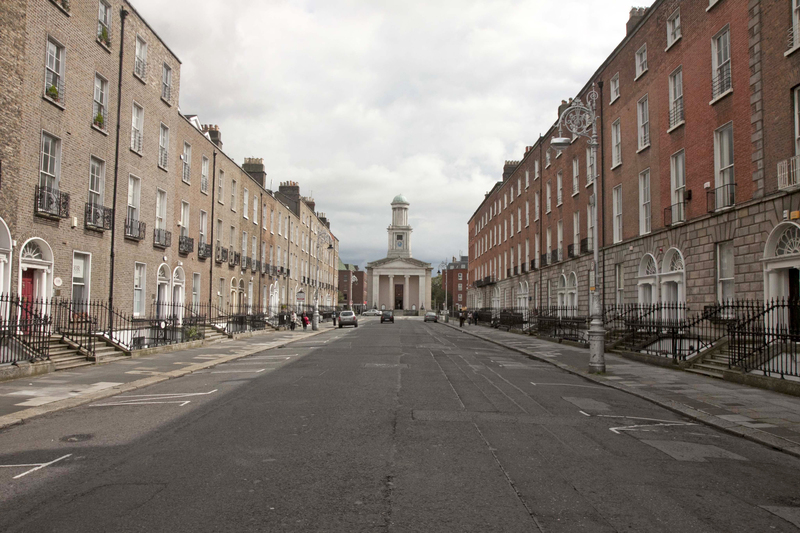 Dublin isn’t just about modern style. Its Georgian heart is still in place south of the river and a place to stay if you like classical architecture is Number 31, a guesthouse made up of two adjacent Georgian terraced houses with a pretty connecting garden. The buildings for the most part are intact — Georgian plaster mouldings, curved balustrades, sash windows and original doors — with modern features that include a sunken seating area in the main room and a handsome breakfast room with a little conservatory at the top of the house. From number 31 to Restaurant Forty One, the Georgian theme continues in a very elegant restaurant. Its two main dining rooms offer fine-dining service: white cloths, silver service, pristine napkins but with a relaxed atmosphere, almost as if you were in someone’s house for a celebration meal. 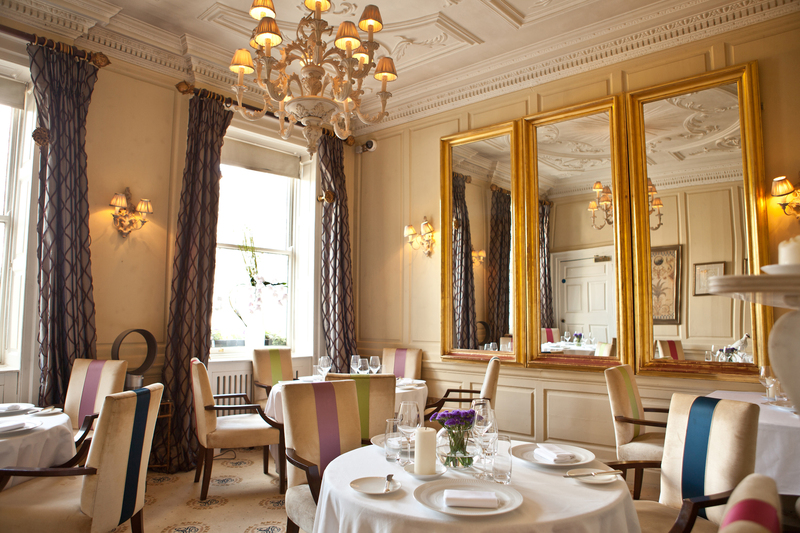 A couple of lucky tables look out over St Stephen’s Green and one of these is worth trying to reserve. The chef, Graham Neville, has developed his own style of cooking, drawing on his training in modern French cuisine and adding innovative creations of his own. The food is deceptively simple, sourced from local farmers or grown in the restaurant’s own garden (not out the back but his own kitchen garden outside the city). Dublin is a pretty small city. Most places can be accessed on foot but transport is good. The Luas tram system crosses the city centre and extends towards out-of- the-way destinations such as Smithfield and the National Museum. A handy option here is the Luas Flexiticket which offers unlimited travel on Luas lines while Aircoach operates from Dublin airport and stops at several strategic locations. It also runs speedy and frequent buses from Dublin to other cities such as Cork and Belfast for a fraction of the train fares. Ireland’s capital has always been a young, fun-loving city and it is a pleasure to be there now that a second Easter Rising is beginning to take shape.